ROCK Pi 4 is a Rockchip RK3399 based SBC(Single Board Computer) by Radxa. It can run android or some Linux distributions. 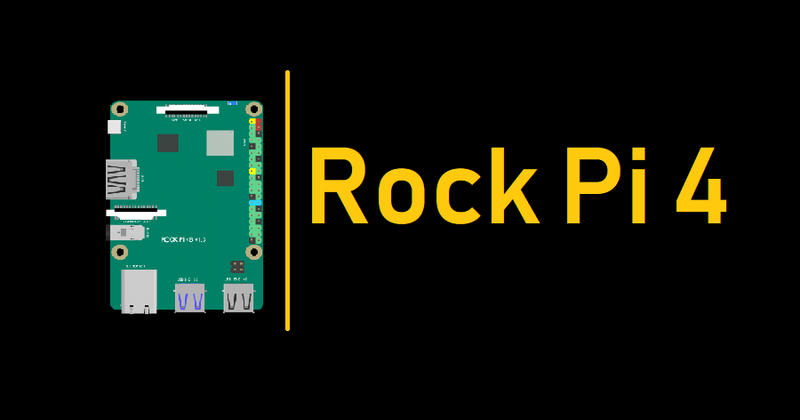 ROCK Pi 4 features a six core ARM processor, 64bit dual channel 3200Mb/s LPDDR4, up to [email protected] HDMI, MIPI DSI, MIPI CSI, 3.5mm jack with mic, 802.11 ac WIFI, Bluetooth 5.0, USB Port, GbE LAN, 40-pin color expansion header, RTC. Also, ROCK Pi 4 supports USB PD and QC powering. ROCK Pi 4 comes in two models, Model A and Model B, each model has 1GB, 2GB or 4GB ram options. for detailed difference of Model A and Model B. This is best alternative of Raspberry Pi. ROCK Pi 4 has a 40-pin expansion header. Each pin is distinguished by color.